In our piece on the results of the German Federal Election we gave an upbeat account of the AfD. Almost everyone else is beating down upon it with the cheap labels its many opponents create for it – Nazis, etc – so a bit of counterweight makes a welcome change. Islam? Doesn't go with our cuisine. Firstly, the point made by the poster is trivial, cheap and foolish. Whereas the 'bikinis not burkas' poster is a good joke that will cheer up the men and may make a point with younger women, the culinary jest is just lowbrow cheapskate – uncouth, as Rásonyi put it. Secondly, we have to consider what children might think when they see the image of the cute piglet presented as a food item. Yes, we all know where meat comes from, but political posters should not put parents on the spot in such unnecessary ways. Thirdly, there are quite a few vegetarians and vegans in Germany. Why alienate them and make them feel that no one in the AfD even thinks about their feelings? That, perhaps, they are not even real Germans. Fourthly, almost every major religion has its own dietary rules. Many Christians, particularly Catholics, observe fast days. Much of Germany observes a carnival period of gluttonous indulgence leading up to the 40 days of abstinence of Lent. Why single out Islam for its dietary rules? What does any of this matter? The AfD's enemies – the rest of the political parties – could be quite justified in taking the sentiments expressed in this poster as racist and covertly antisemitic. Those who want to be kind could argue that the antisemitism is unthinking, an ignorance that is, in fact, a positive thing: the relatively high level of integration of Jews in Germany means that the Jewish ban on the consumption of pork never entered the tiny brains of the people who thought up and condoned this poster. Whether, to use Rásonyi's categories, it is racist or just uncouth, this poster is certainly amateur work by unremarkable people. Well, who knows? The whiteness of the skins in all the AfD posters points to another, much worse, problem: in all the fuss about the immigrant newcomers, what is to be done about the existing oldcomers who are already settled in Germany? You know, the ones who are not white-skinned, perhaps don't eat pork or drink beer and who have been around for decades. The question is valid for the UK, too. If you want to recover the old, white Germany, what are you going to do with the new, non-white Germany already here? Answers on a postcard please. This question is neither posed nor answered in the AfD's election materials. Germans, particularly the urban ones, are no longer only white-skinned people who like sausages. There is, however, no point just shouting 'racist' or 'Nazi' at the nostalgics: there is a real problem here. A quarter of a century ago some friends of mine from the south of Germany went for a long weekend in the then newly freed Berlin; their capital again, after 50 years. They came back shocked, no longer able to recognise this new Germany as theirs. They were both kind, well-educated, hard-working, rational people – majority Germans, in other words – but could not disguise their shock at what was happening to their country. For the first time in their lives they had felt afraid to walk on German streets in once respectable areas. I seem to remember that the particular plague of that time were bands of Vietnamese selling contraband cigarettes – it seems that the Prussian police, after the fall of the NS regime and then the DDR regime, had understandably lost some self-confidence in enforcing rules. The particularities of this anecdote don't matter, but the nostalgic vision does – a lot, actually. Even at that time, my friends expressed these feelings discretely and with hesitation. As Germans they knew only too well to which places such thoughts had led in the past. The AfD articulates in its amateurish and incoherent way this great festering resentment at what has happened to Germany, but presents no solution to the existing state of affairs and the present anger. Their greatest – enormous – electoral success has come in the states of the former DDR. Remember, the number of 12.6% or so of the electorate who voted for the AfD is only an average. In the ex-DDR states the figure is around 40%. There the main competitor is Die Linke, the old DDR, in other words. An analysis of the popularity of the AfD in these places is beyond our scope and our competence. We only need to note that anyone who just shouts 'racists' at the AfD is shouting it at nearly half of the population of those states. And the other half want the DDR back. Thinking-cap time for the powers-that-be in Germany. And let's have a little less name-calling, too. An interview with one of the sensible high-ups in the AfD, Beatrix von Storch, in Breitbart News. 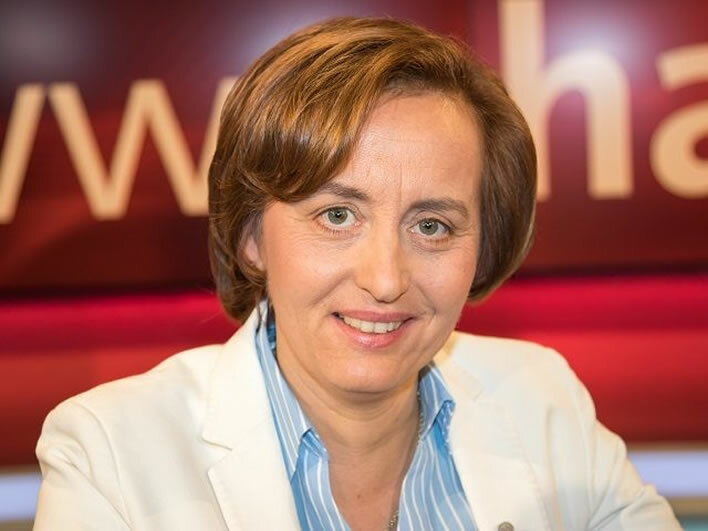 Beatrix von Storch, Deputy Chairwoman of Alternative für Deutschland, AfD. Williams: The mainstream media label the AfD as a “far right” party. Is that an accurate description? Von Storch: It is ironic, but many of the policies, positions, and values currently espoused by the AfD used to be supported by Angela Merkel’s Christian Democratic Union (CDU/CSU). In reality, it is not the AfD that is “far right” but rather Merkel who shifted the CDU/CSU to the left. Prior to Merkel, the CDU/CSU did not consider traditional family values and patriotism to be sins. At the time, they were against mass migration, gay marriage, and dual citizenship. It is Merkel who adopted the policies of the left such as the “energy transition” and the opening of our borders. Merkel ousted conservatives, Christians and libertarians from the CDU/CSU and made them politically homeless. They tried to find a new home in the FDP in 2009, but the FDP also failed to deliver. The AfD filled that gap and gave conservatives, Christians, and libertarians the alternative political home they were looking for. In that regard, we bear some similarity to the Republican Party in the United States, in that the AfD brings together several factions, i.e. Christians, conservatives, and libertarians. Williams: What are the values and convictions that drive and shape your personal political aspirations? Von Storch: My morals come from my Christian faith. I am also a firm believer in the rule of law which provides society with the institutional framework in which free markets operate. Great thinkers such as economist Friedrich Hayek and President Ronald Reagan are an inspiration and their legacy is still relevant. Hayek’s The Road to Serfdom warned of the “danger of tyranny that inevitably results from government control of economic decision-making through central planning,” a prediction that has proved completely accurate. I also believe in the value of direct democracy. Switzerland, for example, implements direct democracy in order to grant their citizens a say on important issues, which gives them a real sense of self-government. We should do this too. When it comes to the European Union (EU), I am very much in favor of trade—whether it be goods, services, labour or capital. But this does not require a European super-state, but only peaceful economic cooperation among independent sovereign nations. Williams: What is the position of the AfD regarding Islam? Do accusations of “Islamophobia” have any merit? Von Storch: A person’s relationship with God is a private matter that should be left between them and God in a modern, secular, democratic nation-state. Muslims who accept and embrace our liberal secular society are not the problem. It is political Islam that we take issue with. That is, Muslims who wish to force their religion, laws, and values on Germany. We do not want sharia law or separate Islamist political institutions in our country. In reality, however, Islamic organizations in Germany have refused to distance themselves from sharia law. There have been Islamist terror attacks in Würzburg, Ansbach, Berlin, and Hamburg and yet just a few hundred Muslims participated in the anti-terror demonstrations in Cologne. In Germany, studies have shown that almost 40 percent of the Muslim population in Western Europe supports extremist views. In numerous mosques, one hears sermons promoting jihad and the primacy of sharia law. These beliefs go against our constitution, which is the supreme law in Germany. It is unfair as well as fundamentally untrue to label a realistic political approach to Islam as “Islamophobia.” The left loves to substitute labels and insults for rational argument, but in the case of Islam, reason and honest debate are what is needed—not cheap slogans. Williams: You have been sharply critical of Germany’s open-door immigration policy. What went wrong here and what have the consequences been? Von Storch: When Merkel opened the borders, she brought more than one million illegal immigrants into Germany. Not only did she violate our laws and constitution but she placed the people of other European states at risk as well. The whole thing has been a catastrophe. Some 90 percent of Germany’s illegal immigrants were young Muslim men who have shown little interest in integrating into German society. The crime rate has exploded, and sexual assaults, such as those in 2015 against women in Cologne, have become endemic. Moreover, the costs have been astronomical and the German taxpayer is now burdened with a bill of some 115 billion Euros. Again, an honest look at the human and financial costs of these policies is essential rather than labelling opponents as xenophobic. Political leaders have the responsibility to look to the good of their own citizens before engaging in social experiments that may have disastrous consequences. 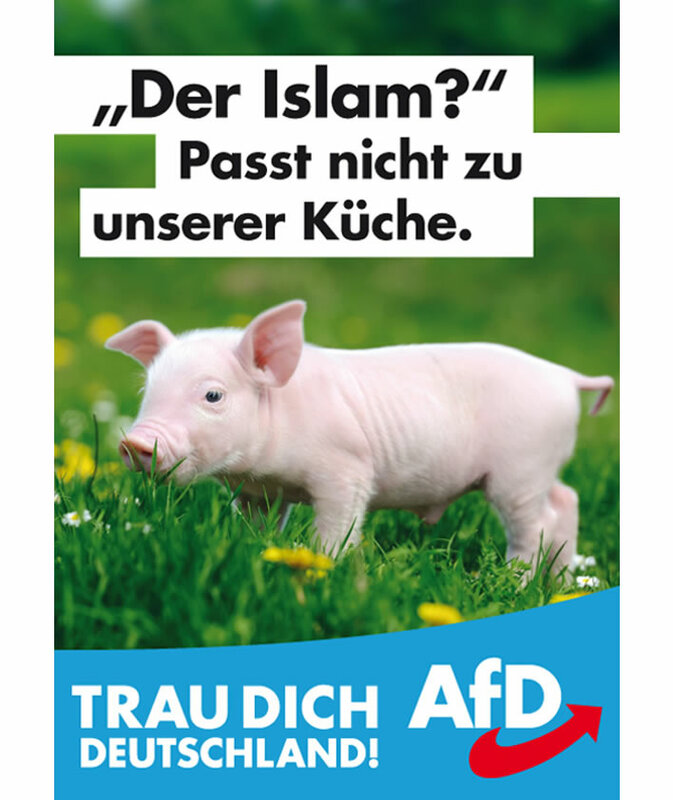 In order for the AfD to flourish in the long term, members such as Beatrix von Storch need to be in a majority over the uncouth idiots who came up with the piglet poster. We shall see.